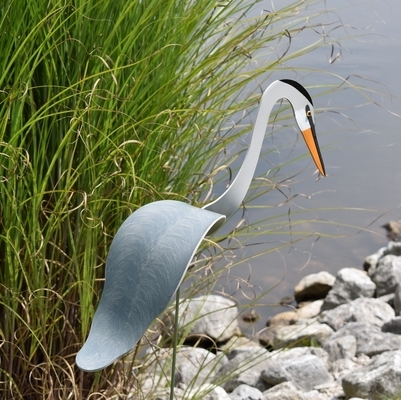 This Great Blue Heron garden statue dances on the slightest breeze. Our special hinge allows it to swivel and dip atop a 35in galvanized stake. It is 24in long x 6.5in wide. 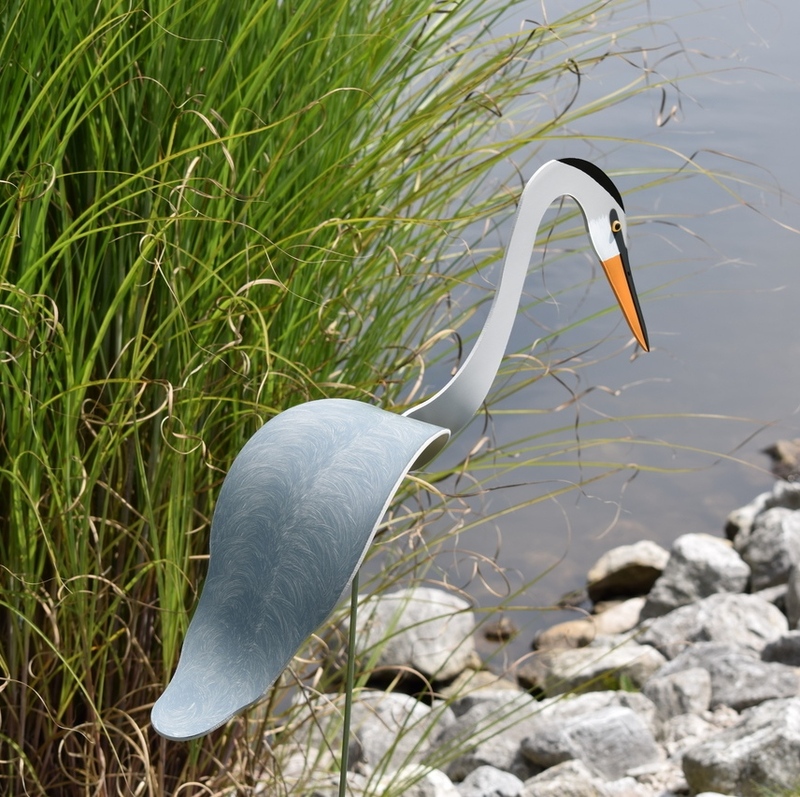 Made from UV-resistant PVC, entirely hand painted & hand formed, it is durable in day-to-day weather. Simply lift off the stake to take in during severe weather or extreme temperatures. Made in the USA.